Super Cricket offers shortened mid-week and weekend matches, meaning less time commitment, while playing in a fun and relaxed environment. The competition is ideal for those with limited time who are not able to commit to a full-length cricket season. Currently, two formats are available - a Men's Super 20 hard-ball competition and a Women’s Pairs Cricket format. You now have the opportunity to register for Adelaide University Cricket Club Super Cricket teams this Autumn / Winter seasons. This is the first time that AUCC have entered the Autumn / Winter competitions so this is a great opportunity for you to showcase your talents and to play some cricket before pre-season training begins in August / September 2019. Cost for the season is $30 and is open to Adelaide University Students only. Matches will be played on Sunday's at Victoria Park with start times at 10.30am and 1.30pm. There will be at least two senior AUCC members playing as part of the team in each matchday squad. 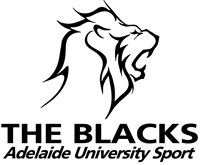 This is a great opportunity for you to start your Blacks cricketing career much earlier than students have been able to do so in previous years.